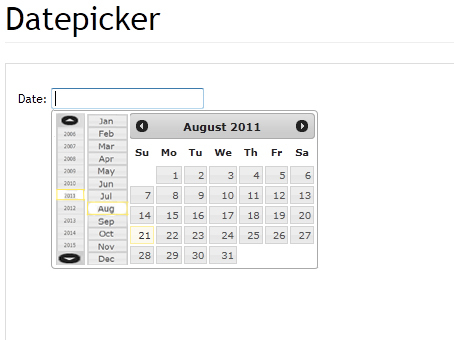 The idea behind this innovative Date Picker is to reduce the clicks to select a different Month and Year. There is only a slight change from an ordinary Date Picker design and I think that simple change can do a lot to reduce clicks. Month and Year selection panel added to the left side of the normal Date Picker to give an easy access to all the months and more years, without an extra click. I am currently working on this. So, please follow this post to see it in action. 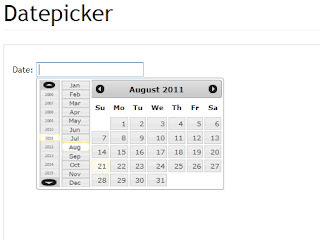 Update: The Alpha Version of eZe DatePicker v -1.0 Released!